I Think I Have Sciatica, Now What? Many are familiar with the term sciatica but are not sure what exactly it means. True sciatica (radiculopathy) is an irritation of the sciatic nerve, a large nerve that provides the connection to the nervous system for nearly all the skin of the leg, the muscles of the back of the thigh, the leg, and the foot. Over time, the term sciatica in public use has come to encompass any pain in the buttock, thigh, leg or foot. This can be easily misunderstood and has major implications for treatment. When a person is experiencing pain that is dull and achy into the buttock or thigh without numbness or tingling, this is most commonly myofascial or muscular pain. Compared to most of the causes of true sciatica, this is a relatively benign cause. Muscular pain (sometimes referred to as “trigger point(s)” is usually caused by muscle overload/overuse or direct trauma. Muscle overload can be the result of sustained or repetitive low level contractions of a muscle or parts of a muscle. These can develop during daily activities or sports when muscle capacity is exceeded and recovery is inadequate. 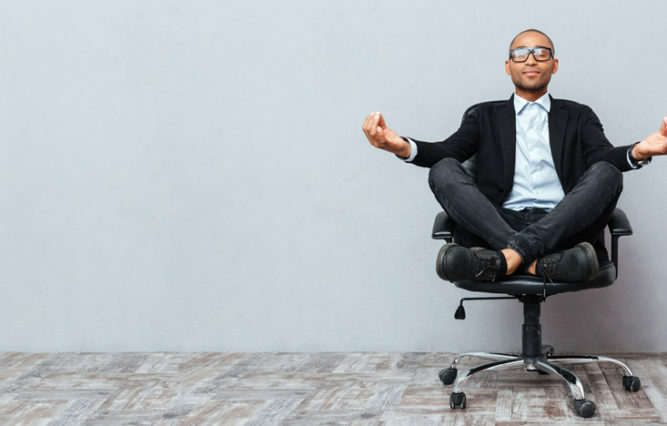 This is very common when starting a new activity or changing to a new job – anything that changes the way you move, stand, or sit. This type of “sciatica” can be treated very well by conservative care methods, usually consisting of manual therapy to release the “trigger point” and improve joint mobility followed by exercises to strengthen the muscle and return it to its normal state. True sciatica caused by irritation of the sciatic nerve has causes that are more challenging to treat. The most common causes are herniated lumbar discs, spinal stenosis, and spondylolisthesis. Treatment of those conditions depends on many things including severity of pain, loss of sensation, and loss of motor function. True sciatica, technically called radiculopathy, tends to be more painful and can commonly go down the leg and into the foot. It is frequently sharp in nature and is often accompanied by numbness or tingling in the affected area. These conditions can require surgical intervention depending on the factors mentioned. It is very important to get an evaluation by a skilled healthcare professional anytime you experience symptoms into the buttock, thigh, leg, or foot. Understanding these basic concepts before you go for your appointment will help you ask the right questions and understand your best options for treatment. As always, feel free to send us a message with all your questions about spine health and fitness at backinstitute@aspenclub.com. I think most of us would agree that we would much rather put in 6 to 8 incredibly effective hours at work than 8 to 10 mediocre ones. I am sure our bosses would agree even more. I am going to share some general strategies from our ACP3 Program at the Aspen Club. Our team teaches companies how to maximize productivity while lowering healthcare costs. I am incorporating the knowledge and teachings of our other team members, Dirk Schultz and Dr. Christina Miller, here as well with their permission. There are a few simple things you can do to make your workday more productive and be healthier at the same time. We like to target three key areas: Stress Management, Nutrition, and Exercise. 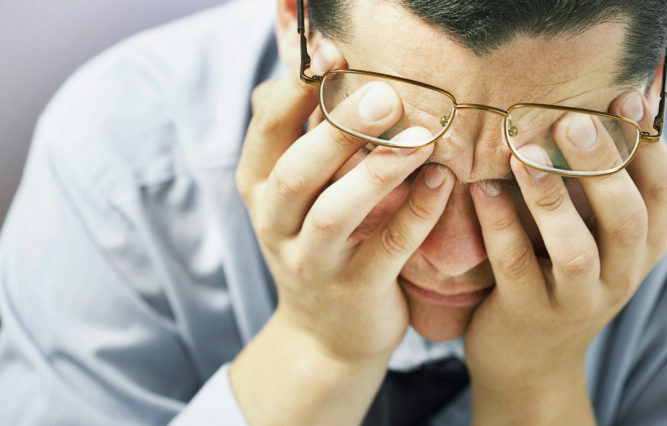 Stress Management: Stress Management is a huge concern in modern America. The inability to deal with stress leads to a variety of bad things: disease, loss of productivity at work and home, strained relationships, and increased health care costs for the company. Stress is important to us as humans and some stress is a good thing. Stress triggers our “fight or flight” response and helps us respond to crises. As Dr. Miller says, we needed this when we had to run from that tiger thousands of years ago on the savannah. We need it today when we must deal with that important deadline or some other crisis at work. When we are in a stress response many physiologic changes occur in our body: among others, our blood pressure goes up, our digestion slows down, our libido goes down, and our immune system is depressed. Basically, the body’s physiologic processes change so that we can deal with the immediate crisis or problem and other processes are put on hold. The problems start when people live in this stress response for days, weeks, months, and even years. Imagine running at a deficit in these crucial areas and you can see what chronic stress does to a person. Our team teaches people how to change this and bring that stress response back down, returning the body to its normal state. One of the simplest tactics is changing the rate at which you breathe. A change in ratio of inhale to exhale is shown in multiple studies to bring the body out of the stress response and back into a relaxed state. With some coaching, this one is easy to learn. Another way to affect the stress response is through nutrition. Meditation is the other key activity to modulate stress. Nutrition: Simply, some common foods we eat increase the stress response and some bring it down. You can probably guess which ones are good and which aren’t. I’ll give you a hint: that donut isn’t helping. Dr. Miller offers simple, effective advice to keep a healthy diet. It doesn’t have to be that complicated. Two easy things you can do are to eat “real food”, i.e. food that doesn’t come out of a package and to eat lots of colors. Easy, huh? Exercise: Small bouts of exercise throughout the day at work help you remain focused and combat the effects of sitting. Studies show that this leads to increases in productivity and decreases in health care costs for companies. This is a very general overview. For specifics, please contact me at backinstitute@aspenclub.com for further info. We have had great success at helping companies keep their employees happy and healthy while increasing productivity. It’s a no brainer! In all things in life, most of us want to work smarter and not harder. For our physical wellbeing, recovery is one of the keys to working as smartly as possible. Many people have a hard time wrapping their heads around this concept. I like to think of it this way: you are making those gains in strength and fitness during the recovery phase. It is the response to stressors that gives us the benefits, not the stressors themselves. During recovery, our body is “improving” itself so that it can better perform the task next time. I am no better than anyone else – I must remind myself constantly. I love mountain biking. Love it. I want to do it every day and do so for big stretches of time. But guess what? After several days in a row, I hurt. My legs hurt. My back hurts. My endurance going uphill suffers and I get slower. I must make myself take days off. Your body needs a break. So how much recovery is necessary? Well, that’s a complex question, but let’s make it as simple as possible for the average person (i.e. non-professional or semi-professional athlete). Most people can do mild to moderate cardiovascular exercise up to 6 days per week. With strength training, if you hit it hard enough to be sore the next day, most people are going to need at least 2 days for that activity or type of training before doing it again. If you are just doing bodyweight exercises/light weight, it can be okay to do those a few days in a row if you aren’t going to the point of soreness. With activities and sports such as skiing, cycling, and mountain biking, you need to take a day off every once in and awhile-at least once a week. With high intensity interval training, you need to take at least a day off every other day. Studies show that you lose the benefits of high intensity interval training if you do it every day. Pain can be divided into two broad categories: chronic pain and acute pain. Chronic pain and acute pain differ in significant ways. 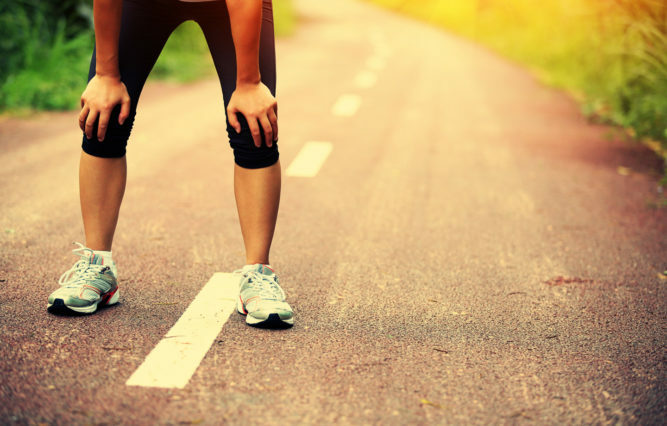 Acute pain is the pain that you feel immediately after an injury. Acute pain is well understood and follows predictable pathways and patterns. Chronic pain is commonly defined as pain that persists for more than 12 weeks. Chronic pain is poorly understood and can be very unpredictable and difficult to treat. Chronic pain can begin as acute pain with a clear cause such as an injury, which then persists beyond normal tissue healing time. Sometimes, the initial cause of chronic pain is unidentifiable. The costs of chronic pain are enormous. A 2010 study by Gaskin and Richard found that chronic pain costs the United States $560 to $636 billion dollars annually. In addition to causing pain in the chief complaint area, chronic pain also commonly causes a cascade of unfortunate events: loss of mobility, loss of the ability to do daily activities and be self-reliant, as well as contributing to depression, anxiety, and hopelessness. I work with patients in chronic back pain daily and see this pattern regularly. Some of these patients respond well to the standard approach to chronic back pain treatment: a spinal stabilization program, manual therapy, and changes in foundational movement patterns. Sometimes, though, the missing link for these patients is meditation. Those suffering from chronic pain undergo changes in the function of parts of their brains over time. These changes can promote and reinforce chronic pain patterns. The most exciting new research in the treatment of chronic pain deals with the changes in the brains of chronic pain sufferers and the ability of meditation to affect these changes. To put it very simply and generally (and believe me, this is a very complex topic), meditation reduces chronic pain by decreasing the amount of arousal in the nervous system, the stress that exacerbates pain. Arousal in the nervous system aggravates pain, which in turn becomes another stressor, causing more arousal, which aggravates pain. You get the picture. Meditation changes this cycle by affecting the four areas of the brain that modulate pain: the primary somatosensory cortex, anterior insula, anterior cingulate cortex, and prefrontal cortex. This is difficult for many patients to wrap their head around at first. Most people accept that repetitive exercise is necessary to change one’s body to promote healing and overcome chronic back pain. You can’t do an exercise once and expect to be better. Many people are less likely to accept the importance of regular meditation to change the way the brain functions to interpret and process pain. Meditation can be thought of as exercise for your brain. It needs to be done regularly to have the desired effect, just like exercise does for the rest of your body. 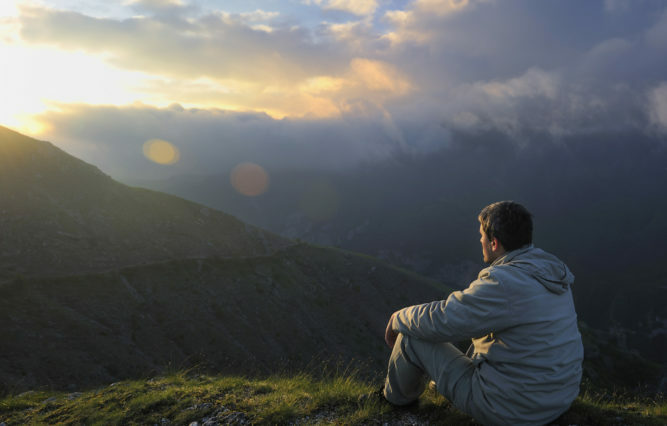 Regular meditation changes the way that the brain functions in the areas that process pain. For most people, around 20 minutes per day is enough to see significant changes. I find it easiest and most effective to do this first thing in the morning before I even get out of bed. I recommend instruction in the beginning, whether it be a class or listening to a podcast or webinar. It takes a bit of practice but is doable for almost anyone with a little perseverance. If you struggle with chronic pain and are interested in giving meditation a try, email me for suggestions on how to get started. You won’t regret it. As important as it is to our physical and mental wellbeing to be strong, it is not muscular strength that gives us the feeling of ease and lightness in the body. It is the flexibility of the joints at the connective tissue level (the deep, fibrous, dry, inelastic tissues that are our tendons, ligaments and fascia). I have taught many muscularly powerful adults who are physically incapacitated or uncomfortable because of joint problems. Bad ankles, backs, knees, and hips – these are the injuries that force athletes to retire and older people to shuffle around. Think of it this way: connective tissue is to animals what cellulose is to plants, the scaffolding around which everything else is built, hung, or inserted. Plant cellulose maximizes stability, and healthy connective tissues permit more dynamic mobile stability, and our stability requires near constant maintenance. Not as obvious to us as atrophy or weakening of our muscles, but just as undesirable is the slow shortening and stiffening of connective tissues throughout our body due to injuries, abuse, neglect, and aging (beginning around the age of 30!). Shrink wrapped joints hurt. They don’t bend, and they prevent youthful stability, fluidity, and range of motion. They kill the fun! If we want to maintain our joint flexibility, we must exercise them, but here is the rub – we cannot exercise them like muscles, we must exercise them very differently, in the Yin Yoga fashion. Why? Because connective tissue does not respond to brief or rhythmical stretches the way muscles do. Fortunately, a mindful practice of Yin Yoga (long held, muscular passive stretches), will, over time, enhance flexibility and circulation in our bound-up joints. Connective tissues must be stretched slowly and gently, like taffy. Hard, strenuous activity can injure or snap them like the familiar but dreaded ski or football injury. The practice of Yin Yoga reaches down into one’s own body and gently stimulates the flow of chi through the meridians of the connective tissue and helps regain youthful range of motion (ROM). Yin Yoga results are first produced mainly in the shoulder, and even the ankles and wrists, depending on the choice of yin posture. When these joints become suppler, all activity becomes easier and less painful… like when we were kids. The Yin Yoga practice is mindful, precise, and best learned under the watchful eye of a trained Yin Yoga practitioner who can guide you into “suggested shapes” safely. Come into the suggested shape to an appropriate and personalized, edge, depth, sensation, and intensity. Something doable and perhaps assisted by a prop. Build on the pose, becoming more and more still and passive. Muscle tissue must NOT be engaged or resisting. Gentle Yoga Long Breath is helpful. Hold for time, maintaining stillness 3-5 minutes. Yin tissues are dull and resistant, and it takes time for them to respond effectively. The sensations, depending on the pose, are strong and it is okay to back off a bit if they become sharp, searing, or raw. Yin Yoga is a mindful practice where mind, body, and breath learn to be present, quiet, still, and let go despite discomfort… A very transferable life skill! On the previous blog for Part I, I left with how important the glands are to our yoga practice and how they create the experience of enlightenment. But how do the things we do on our mats in a yoga class affect the glands? What glands specifically are being addressed? One of the great aspects of Kundalini Yoga and its ability to create rapid results is its effect on the glands, which causes them to secrete. Glandular secretions are caused several different ways, but yoga works primarily through applied pressure to specific glands and sound vibration. The kriyas, yogic exercises with a completed action via geometry, movement, breath, and sound, are designed to create pressure on the glands. When the pressure is released, the resulting relaxation allows the secretions to circulate through the bloodstream bringing balance and expansion to the mind-body relationship. Geometry works with the specific angles of the body when placed in static and active postures. The firing of the nerves, muscle contraction and tension, and alignment of the energy meridians creates internal pressure, and pressure causes movement. When yoga enthusiasts talk about the flow and glow they experience from the practice, it is the movement of pranic energy, the more efficient circulation of oxygen, and the elimination of used prana, apana, and CO2 from the body. 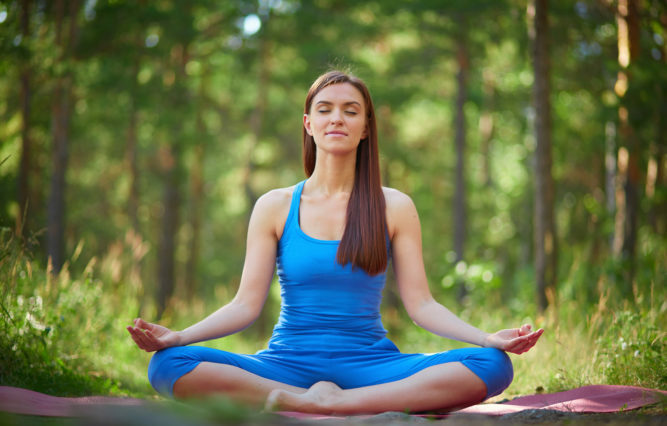 For example, aura fix is a posture done while sitting cross-legged with the arms extended up and out at 60 degrees with the thumbs pointed toward the sky and the fingers pressed into the pads of the palm. Yogi Bhajan was very specific on the 60-degree angle of the arms because this angle allows for the free flow of energy through the arms into the heart center, chest, and the thymus gland just above the heart. Also, the energy meridians for the heart, lungs, and pericardium begin in the hands and are stimulated through this angle. This kriya is done with breath of fire, which increases the flow and intensifies the internal pressure. This sacred geometry aspect to yoga postures is the reason we strive to hold the postures correctly. Just by dropping the arms a little bit, we will change the effect of the kriya on the energy centers, internal organs, and glands. Kundalini Yoga incorporates many kriyas that involve moving the body in rhythm with the breath, which creates a pumping action, which causes even more powerful internal pressure and movement within all systems of the body. The combination of body movement and breath has a dynamic effect on the glands. This gives us more leverage, which the laws of physics tell us reduces the amount of energy needed to move a larger object. Leverage gives us the capacity to effectively and quickly open pathways, penetrate blocks, and create rapid change. It also gives us a tremendous reserve of pranic energy that we use to power our daily activities. The use of sound vibration is vital to stimulating and balancing the glandular system. Vibrations move very fast, faster than the blood circulates through the body. So, the glands communicate with each other by frequency, like calling someone to tell them you have put a package in the mail to them. The vibration from the pituitary gland prepares the pineal gland, alerts it to the fact that biochemical secretions are on the way via the circulatory system. That is why we begin every Kundalini Yoga class by chanting the mantra “Ong Namo Guru Dev Namo.” What the words mean has very little effect on the glands, but the frequency of the vibrations is the action created. The vibrations from this sound current resonate throughout the nasal cavity, and the pituitary gland is located directly above this vibrating cavity. Like the effect of one sitting on top of a stereo speaker, the ability to hear is not necessary to feel the music. The frequency of this sound changes the secretions of this master gland, which will begin a process of communication with the entire glandular system and will change the biochemical state of the brain, allowing the mind to become less active and more relaxed and calm. Also, while we are chanting, we have our hands in a specific mudra, which connects two meridian points in the fingertips. By pressing the tip of the thumb with the tip of the first finger, that connection completes an energetic circuit, which stimulates the third eye point, which is the pituitary gland. Not only are we activating the pituitary by sound and mudra, we internally focus our eyes to the third eye point. With the eyelids closed, we roll our eyes up to focus our attention to this point between the eyebrows just above the bridge of the nose. We are essentially gazing at the inside surface of our skull at the lower forehead, like a movie screen in a theatre. But, the pituitary gland is physically located back several inches in the brain, above the nasal cavity. How does this eye position affect the pituitary gland? I learned the answer from a yogi who is also a doctor. In medical school during his anatomy cadaver studies, he manually rolled the eyes of the cadaver up to the position of focusing at the third eye, and realized the optic nerves from the back of the eye balls stretched and moved. The optic nerves cross like an “X” on their way to the brain, and the pituitary gland is located at the point in which they cross. When the eyes roll up, the optic nerves move and physically apply pressure to the pituitary gland. Here we see the sacred geometry of the yoga practice come into play – the triangle pattern of the eyes and pituitary gland creates the experience of awareness and insight, with insight being the internal sights and feelings from our intuitive wisdom. The eyes gaze at the movie screen in our heads, observing the infinite Universe that is within each of us. But where do these images come from, and what projects them onto our screen? The pineal gland is the projector. I believe there is a huge misconception in our culture about yoga and what it does for the individual who practices this ancient tradition. I’ve come to this conclusion based on most of the media coverage of the subject, but mostly from people I meet, usually on the ski lift. When I tell them I teach Kundalini Yoga, the responses usually range from “oh that is just about stretching and relaxing,” to “I cannot do yoga because I cannot even touch my toes” to “I would rather exercise and get a good workout.” Then, there is the other extreme view, that it is a religion or based on specific religious doctrine. From the yoga masters, we learned that yoga practice brings unity to the finite and infinite self, an experience of feeling whole, expanded awareness from raising our consciousness, along with balance and harmony. That all sounds great, but how does this happen? This effect does not just come from stretching the muscles and connective tissue of the body. My spiritual teacher Yogi Bhajan said, “If flexibility was the measure of consciousness, all circus acrobats would be spiritual teachers.” The basic techniques of yoga include postures and physical movement, pranayam, which is controlled, conscious breathing, mantra, which is the use of vibration and sound current, by chanting, and meditation. Through thousands of years of research and development by the ancient yogis and mystics, they found these techniques, if done in a specific way and sequence, created certain effects and experiences in the body and mind of the individual. As an artist creates subjective beauty and a scientist produces objective physical results, the art and science of yoga consistently gave the practitioners greater physical health and the personal experiences of spiritual awareness. Yogic philosophy says when the physical body is in its ideal state, the mind becomes centered and open, and then we will have greater access to the intuitive wisdom we hold within. This ideal physical state is achieved through the yoga practice by working on the various systems of the body to strengthen, open, and balance them together because they are all interrelated. The circulatory and respiratory systems are closely aligned with their functions, and the yogic practice of pranayam breathing creates a very efficient exchange in the lungs for the intake of O2 and the release of CO2. Breath of fire, a rapid breathing technique, cleans the lungs from the dust and debris we have inhaled and boosts the O2 level of the blood stream, which energizes every cell of the body. This is how we expand our conscious awareness, and this is how yoga changes our lives. In the next blog entry, I will talk about the specific glands, the yogic techniques that affect them, and the effect this has on our personal growth.